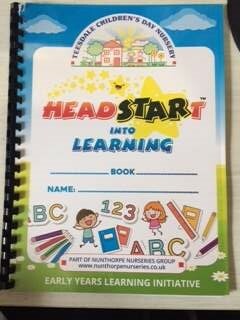 https://nunthorpenurseriesgroup.co.uk/wp-content/uploads/2018/05/workbooks.jpg 320 240 Donna Petch https://nunthorpenurseriesgroup.co.uk/wp-content/uploads/2017/03/Nunthorpe-Nurseries-teesvalley-teesside-300x171.jpg Donna Petch2018-05-24 14:40:192018-05-24 14:40:19New Nursery Workbooks! 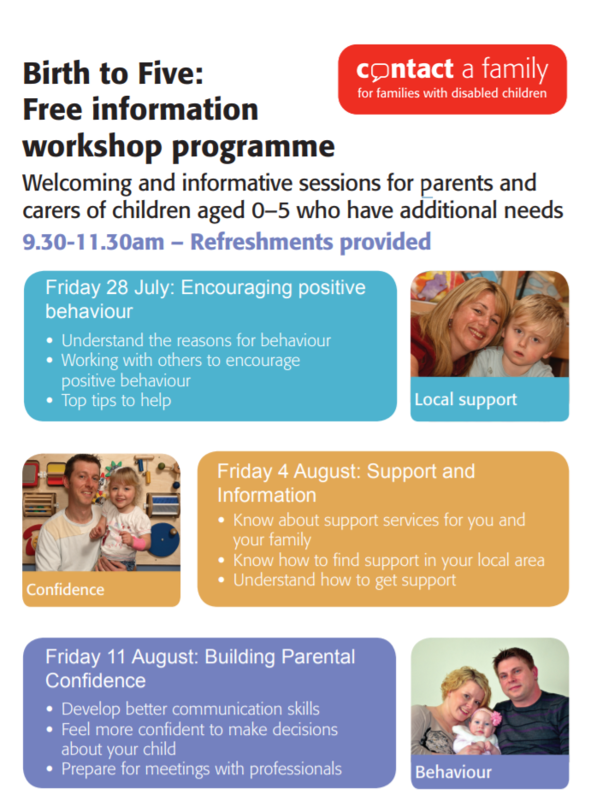 Any parents or carers of disabled children aged 0-5 who have additional needs would benefit from these free information workshops. 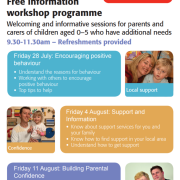 9.30am – 11.30am on all dates. Teesdale Nursery are awarded OUTSTANDING by Ofsted! 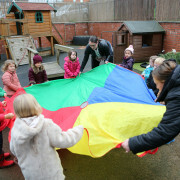 Teesdale Children’s Day Nursery which is owned by Nunthorpe Nurseries Group was inspected on the 31st January and was judged Outstanding in every area. 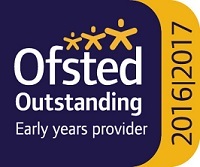 Outstanding praise was given in all areas of the inspection and the report reflects upon the exceptional quality of teaching and learning within the nursery and states that the staff know children very well and that they make excellent progress from their starting points, develop capabilities needed to continue their already successful learning when the time comes to start school. 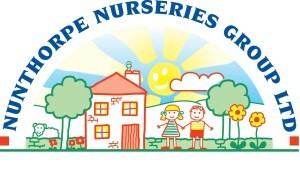 The inspector commented that planning for each child is meticulous and ensures they are all able to take part in highly challenging activities and goes onto say how staff provide exceptionally well-tailored support and challenge for children who have special educational needs or disabilities which makes sure that all children at the setting make the best possible progress from where they start their learning. Within quality of teaching, learning and assessment part of the report it states that the quality of teaching throughout the nursery is inspiring and that highly skilled staff engage children in an extensive range of fun, purposeful and challenging activities. She also comments on how staff are extremely effective in supporting children who speak English as an additional language, that staff learn words in the child’s home language and use them to help build up their communication in English. Outcomes for children are outstanding, children make excellent progress in all areas of learning and for those children whose starting points are lower, gaps in attainment close rapidly. Children are confident, highly inquisitive and enthusiastic in their learning. Their ability to listen, maintain attention and follow instructions is developing very well and older children display excellent conversational skills and imagination. 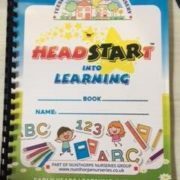 This outstanding nursery is lead and managed by Rebecca McNally who is very proactive in leading, supporting and motivating staff to meet the needs of all children who attend the setting. The inspector commented on how she and her team are inspirational in their pursuit of providing the highest-quality of care and education for all children. Nunthorpe Nurseries Group management team are very proud of all the staff and their achievement. The staff are all very passionate, committed and know that they put the children at the heart of everything they do. 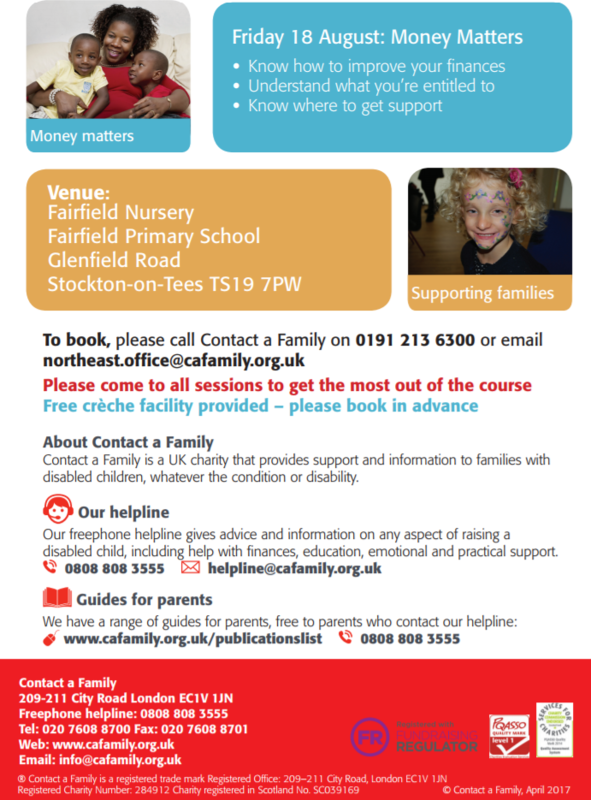 https://nunthorpenurseriesgroup.co.uk/wp-content/uploads/2015/09/Teesdale-NNG_0592k.jpg 1333 2000 Donna Petch https://nunthorpenurseriesgroup.co.uk/wp-content/uploads/2017/03/Nunthorpe-Nurseries-teesvalley-teesside-300x171.jpg Donna Petch2017-03-17 12:17:492019-03-27 12:20:44Teesdale Nursery are awarded OUTSTANDING by Ofsted!